I recently read an article that encouraged people to “show up” for the last 90 days of the year. Commonly, we put off our goals and just go through the motions, swept up in the holidays and bustle of the end of the year. Then, when January arrives, we all of the sudden decide to dial in our focus and work toward our goals. But in doing that, we waste precious days! Days that could be spent driving forward instead of just trudging through. The author encouraged us to think about ending the year focused on achieving our goals so that when January arrives, we can build off the momentum from the end of 2018 instead of starting from scratch. We are down to 60 or so days left in this calendar year. 60 days to work on our goals. 60 days to build momentum as we head into 2019. 1.) Personal Engagement - We have a vibrant member network that empowers professionals to develop talent in the workplace. 2.) Organizational Engagement - We develop partnerships with organizations to increase impact in the region and deliver increased value to our members. 3.) Virtual Engagement - We remove barriers and increase the ease of engaging virtually using with technology-enabled content. And in these last 60 days, we have lots to celebrate! Our Annual Workplace Learning Conference was a success; it was a day full of fantastic learning and networking with over 80 attendees. 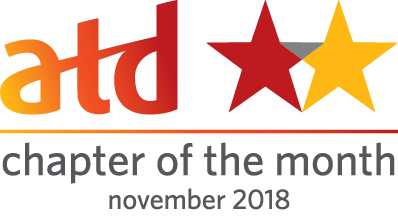 This month, we are recognized by ATD National as Chapter of the Month; what an honor! Great job, ATDps! And finally, Andrew Herkert was voted in as 2019 President Elect and we are finalizing our 2019 Board so we can gear up to start the year in forward motion. 60 days. Make them count! When you need to engage eyeballs on the screen, you need to keep things moving. Animated scenes help to tell a story that people remember, but many corporate e-learning developers don’t have the experience in advanced tools like PowToons, Captivate, and CrazyTalkAnimator to bring characters to life. In this session, guest facilitator and master story crafter, Katie Stroud, will show you ways to animate your message and create characters that come to life. She’ll engage you in a live demonstration and build talking characters using your voice. Bring a computer and download the free version of CrazyTalk Animator to follow along. No experience required. Explore reasons to animate your content. Discuss technology options and hacks for animation. Participate in a live demo for building animated characters and scenes. Katie Stroud, writer, speaker and consultant, has been designing instruction for over 13 years, mostly in the high-tech industry. Katie founded Incremental Success in 2012 to help her clients design a story of success within their organizations. Follow Katie at IncrementalSuccess.com to watch these stories unfold. Whether you are working with change management, coaching, or even needing innovation, having good tools to use with your clients and employees helps save time and builds trust. In this dynamic virtual chapter meeting, we will focus on Self-assessment, 360 tools and the benefits that they provide. Join us as guest facilitators, Dennis M. Dennis and Deborah Brooks, discuss characteristics of effective assessment tools, risks to consider, and how to provide useful feedback. They will also present on the Conflict Dynamics Profile® (CDP) tool which they successfully use with various organizations and one-on-one with private clients. The CDP is a powerful assessment instrument which helps managers and employees deal with conflict behaviors in the workplace. Bring your questions and experiences and join us for a lively online conversation! Dennis is the founding principal of Care Full Conflict, LLC. 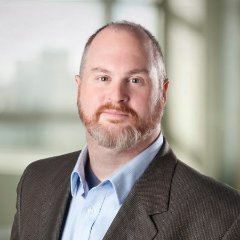 He has consulted with a wide variety of organizations and leaders for over 30 years and has been a member of the University of Washington Consulting Alliance for over 10 years. He is a past-president of the Washington State Psychological Association and a charter member of the Advisory Board at the Eckerd College Center for Conflict Dynamics. He is an alumnus of the Harvard National Leadership Preparedness Initiative (2010). 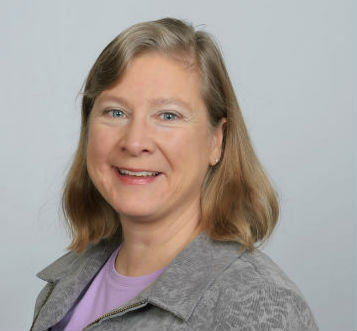 Deborah is passionate about both employee and organizational development. 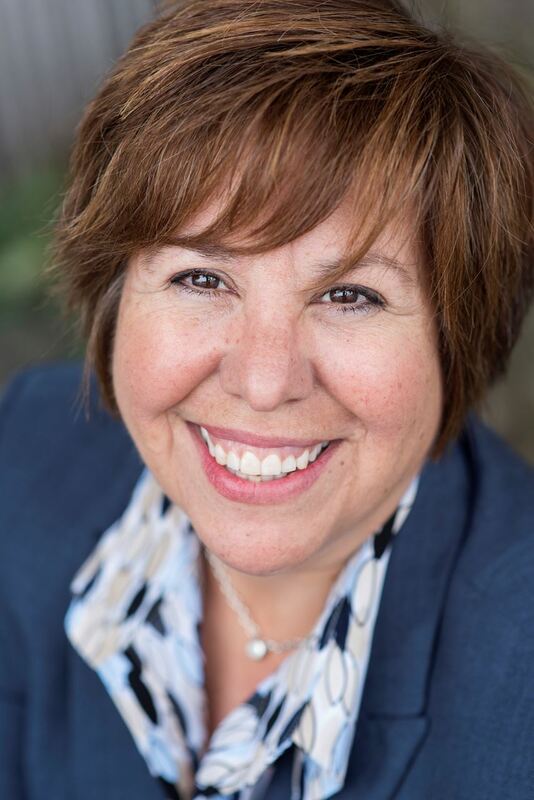 She brings a wealth of experience and professional expertise including a Masters Degree in Industrial & Organizational Psychology from Seattle Pacific University. She has been providing corporate classroom and online training for more than 10 years, most recently in her role as a Performance Specialist with TrueBlue, Inc.
2018 Annual Member Survey Winners! Thank you to everyone for your feedback on the annual membership survey. Congratulations to our drawing winners Brittany F and Josina G. They will receive a free 1 year renewal. We are analyzing your feedback and will report back in the December newsletter. 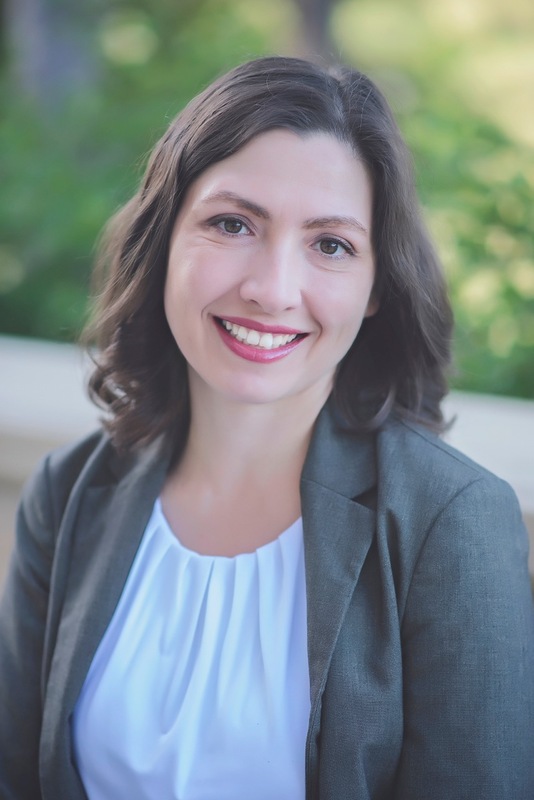 This month we would like to recognize the highly organized and overall wonderful Conference Manager for Workplace Learning Conference (WLC), Christina Houghton. Christy’s attention to detail, program management skills, and effective communication helped make this year’s WLC a huge success. Christy recognizes problems that may occur and proactively works through them before anyone notices they was a potential issue. Not only is she is a pleasure to work with, but her efficiency in getting things done and moving on to the next task makes projects go by quicker. Thank you Christy for executing WLC this year and helping to streamline it for future years!